SPILLS HAPPEN. PLAN AHEAD. ChemSpill.com offers an infinite variety of spill kits, absorbents, pads, booms, socks and containment for every imaginable spill. 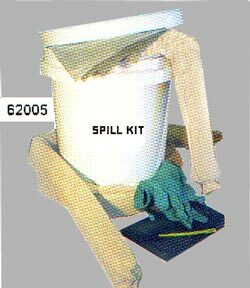 If you do not find exactly what you need from our extensive choice of kits, we will custom configure a spill kit for your particular application. Devault Technologies, PO Box 483, Devault, PA 19432. Tel: 610-644-3887; Fax: 610-251-9414.